Humans and animals are different in many ways. We’re also very similar in others. For example, humans and animals can develop the same disabilities. Some of which are treated with medications that can be administered to both human beings and animals with little to no difference in side effects. One such drug is Gabapentin. Gabapentin is a Schedule V, a non-opioid narcotic drug that affects the electrical activity in the brain. While it is not a controlled substance, its effects are the reason behind the growing abuse of prescriptions. A drug whose fatality is rumored as potentially surpassing opioids in the U.S. may raise questions about its safety for pets; namely, cats. The contrast lies within the dosage and care; responsibilities of the owner and veterinarian. Animals that are much smaller than the average human require lower measurements for effective results. A brief, detailed study of Gabapentin and its history provides useful information when considering this product. Most types of neurological disorders have no cure, but there are some effective treatments, like Gabapentin. As mentioned, certain medications are safe for human and animal consumption. Gabapentin, also known as Neurontin, is one of them. This anticonvulsant alters the abnormal chemical and nerve activities that cause pain or seizures. In cats, neurological disorders can come in many forms. The most common is epilepsy, a blanket term for disorders that cause recurring seizures. These conditions develop from trauma to the brain, abnormal genetic factors, developmental issues, or disease. Symptoms vary depending on the condition and other individual factors. This presents quite a challenge for owners to recognize problems and for doctors to diagnose and treat them. Symptoms can come as a limited few or a combination of several traits. Typically, the surface when the brain or body has become exhausted. Cats are tricky as their episodes come around sleep or rest times, and they nap throughout the day. 1. Gabapentin was originally FDA-approved for its anticonvulsant and analgesic (pain relieving) effects. After gaining recognition for what it can do for the mind and body, it is now prescribed for several ailments in smaller amounts that vary from neuropathic pain to stress. 2. Regardless of the reason behind its use, Gabapentin requires careful adjustments for each patient. Dosages vary between cases as no two are exactly alike. The size of a cat versus a human makes the appropriate dosage even harder to determine. 3. Veterinarians tend to prescribe Gabapentin in an alternate form from the usual tabs or capsules. A liquid concentration is available for cats that do not take well to swallowing solids or who may react negatively to being given pills. 4. Timing this medication can be tricky. It takes about two to three hours to take effect in its most concentrated form. Preparing a schedule of dosages can help create a routine for the cat, making it easier to get used to and record reactions. Aside from the more extreme neurological disorders, Gabapentin has grown useful in its ability to calm cats that feel disruptively stressed. High anxiety in cats could lead to problematic behaviors and those similar to neurological disorder symptoms. Aside from its use for seizures and neural pains, Gabapentin is used for its residual effects in other less threatening but still quite serious health problems. This includes migraine headaches, phantom pains, anxiety and stress, and even aggression. The drug has mixed opinions about its sedation capabilities. Some veterinarians prefer tried and true methods while others are more open to administering Gabapentin as a sedative or in rather extreme cases. Doctor Marty Becker of the North Idaho Animal Hospital argues on behalf of using drugs such as Gabapentin to create a relaxed state for patients. Some animals are inconsolable by the usual methods of calming. Soft touch, passive voice, and treats go unacknowledged as the fight or flight instinct in highly stressed animals overpowers the desire for food or other basic needs. Some, according to Dr. Jeff Nichol, even become self-destructive. During appointments that require lab work, exams, or other procedures that can’t be easily rescheduled, medicine is the quick fix. Becker notes that most doctors are wary of dosing patients as the alterations could obscure crucial observations. 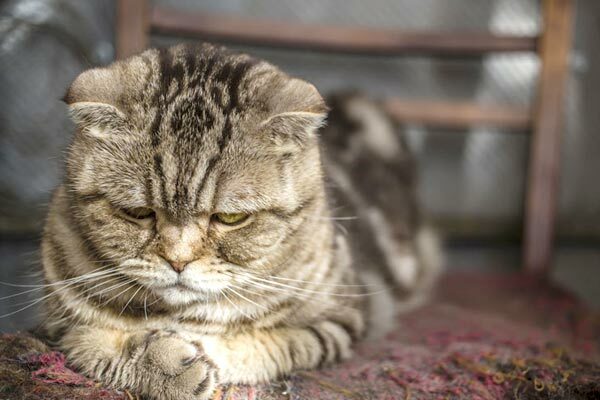 While it can be hard to determine the pain level or disease symptoms of a sedated cat, there is also a possibility that stress-induced behaviors falsely reflect disease symptoms. These include irregular heart rates, digestive issues, excessive grooming or scratching, isolation, vocalizing, appetite changes, fatigue, and aggression. In his tips for those considering the sedation method, Becker includes doctor testimonials. One states she would rather catch anxious behaviors early and opt for mood-altering medications to avoid sedation if possible. Another says she records the behaviors of cats before and during visits, then prescribes stressed felines with a pre-appointment dose of Gabapentin. Dr. Nichols concurs this drug’s ability and notes its use alongside others for car sickness. In fact, he claims that breaking open a Gabapentin capsule and adding it to the cat’s food is just as effective and more eagerly consumed. Just as veterinarians see results during visits, so to do researchers in their studies. A recent article in Seizure: European Journal of Epilepsy reports on the behavioral and functional effects of Gabapentin on lab mice. While this drug shows some changes that are common among other antiepileptic drugs, it also has its individual side effects. AEDs are known to create shifts in the behavior of users, affecting the level of anxiety, depression, and even psychosis that the animals experience. This can prove useful in calming cats who become anxious and/or aggressive due to physiological or pathological conditions. Other behavioral changes not related to the general mood of a cat may include an effect on its mobility, grooming habits, vision, and bowel functions. The Ohio State University Veterinary Medical Center is conducting a clinical trial to study the potential effects of using Gabapentin in higher doses for sedation in cats with Chronic Kidney Disease. Knowing its ability to relieve stress and even sedate healthy cats, the suspicion is that a usual dose may not be enough for cats with Chronic Kidney Disease (CKD). A standard dose of Gabapentin seems effective in cats without CKD. However, because the drug is processed through the kidneys, it may not be properly passed through the system of a diseased cat. The trial aims to deliver higher doses of Gabapentin to cats with CKD to observe the risk of over-sedating them while managing symptoms. Unfortunately, results from trials to support a hypothesis are still pending, leaving only human accounts available for deliberation of potential risks to felines. Furthermore, human subjects with similar cases show mostly negative data. Gabapentin is often prescribed in lower amounts for patients with kidney disease because the drug levels could rise if the renal system does not clear it out properly. One reason for renal failure or renal scarcity is kidney disease. This begs the question as to why doctors would risk diseased cats with higher doses. While dosages can be reduced to avoid sedation, ailing cats may require it. If the dose is light for safety yet too light for sedation, a risk may be necessary. According to an article in the American Journal of Medicine titled “Gabapentin Toxicity in Patients with Chronic Kidney Disease: A Preventable Cause of Morbidity”, Gabapentin has been linked to toxicity in CKD patients. The doctors who authored this article confess that they are working with a limited amount of literature in this connection, but their survey of patients over a 9-year timespan concludes that it is a serious matter that deserves attention. The claim here is that patients with CKD “receive inappropriately high” doses of Gabapentin to compensate after dialysis, resulting in over-toxicity. The human subjects are reported to have higher ages and comorbidity that influence these levels. Fortunately, Ohio State’s trials begin with extensive screening to select which cats are eligible. Participating cats must be at Stages 2, 3, or 4 in their CKD to be candidates. They are subjected to testing to ensure thorough health investigations which could help provide more accurate results. Can Gabapentin be safely paired with other medications? As of 2010, stated in the American Journal of Medicine article mentioned previously, Gabapentin “has no known drug-drug interactions” but has been reportedly used by patients with multiple chronic conditions. It can be a primary or secondary agent for behavior modification but is typically reserved as the primary powerhouse for neurological conditions that cause recurring pain and/or seizures. Pain and seizures can become lifelong battles for cats, making medications a necessity for comfortable living. This medicine is safe for long-term use but must be carefully regulated and administered. Therefore, proper medication delivery must become second nature to care providers and pets. There is a selection of methods for this task to choose from depending on the form of Gabapentin prescribed and the tolerance levels of the cat. Medication should be measured out in the area in which it is to be administered to avoid making trips back and forth or reaching for supplies and losing an impatient cat. A countertop or table, lap, or anywhere that does not require bending down is the most appropriate place for this task. It is advised to get a helper if possible. A helper can hold supplies or keep the cat calm while the dose is being issued. Keeping the cat calm and taking necessary precautions will ensure a less stressful chore with less reactivity. For a scrappy pet, scratching and flailing can be prevented by compactly wrapping it in a towel. This makes it harder for the cat to get loose and keeps it feeling calm and secure. The cat is least likely to become reactive when it is faced away from the person delivering the medication and resting with its hip leaning into the handler’s body. For every oral delivery, the cat’s head must be tilted upward for easier swallowing. From this point, the steps vary. Cats can be prescribed an oral liquid, pill, or capsule which all require a similar setup unless the powder from a capsule is poured into some food. Liquid Gabapentin is more efficient when it comes to the time and effort it takes to serve out. The challenge comes from measuring it appropriately into an oral syringe. Pills are pre-dispensed for the correct dosage every time and liquids are not. Properly measuring the direct amount before controlling the cat is imperative in this method as it eliminates the likelihood of spills occurring. After positioning the cat and holding its head up and mouth open with one hand, the other hand will guide the end of the syringe into the corner of the mouth, facing the cat’s throat. Squeezing the syringe to dispense liquid between the cheek and gums is the surest way to keep the liquid flowing into the mouth without being flicked out by the cat’s tongue. There are three options for applying pill medications. A pill can be ushered down the throat by hand, with a special syringe, or with some creative deception. Beginning with the cat positioned at the handler’s side, the pill is held between the thumb and pointer finger of one hand while the other hand holds the cat’s head at the upper jaw. The middle finger is typically used to gently coax the mouth open. After inserting the pill into the cat’s mouth, the middle finger will push it down the tongue and as far back into the throat as possible. Once the pill or capsule is in enough and the hand is removed, the cat should still be held firmly. Holding the mouth closed (without blocking the nasal passages) will keep the pill in as the cat tries to swallow. This is where having a helper can be handy. Rubbing the cat’s throat under its chin encourages a natural swallow motion. Using a pill dispenser is an option for those who wish to avoid bite potential or gagging the cat with a finger. A pill dispenser is a syringe for pills, like those used for suppositories. Like the Old-Fashioned procedure, the mouth is coaxed open and held still. Rather than using the middle finger, the syringe, loaded with the pill, is inserted as far back into the cat’s mouth as comfortably possible. The pill is dispensed with a quick and simple plunge and the syringe is removed. Holding the mouth shut is still the best way to keep the pill inside while the cat is guided into a swallow action with the same rubbing of the throat. This method is less tasking but calls for more finesse and probably a well-tempered cat. It works best when using soft treats or hollow treats commercially known as pill pockets. As the name suggests, three treats and a pill are needed on hand. The pill is inserted one of three treats. The trick is to deliver the second and third quickly so the cat has no time to think about what it just ate. The first treat is normal for the cat’s enjoyment. The second treat has a pill hidden inside. The pill is less liable to be smelled or seen and consequently refused if the pill is molded around it completely. Another “pro tip” is to keep the third treat ready with the second one. The cat has already had a first and will eagerly take up the next one. Having another ready to be eaten immediately after the pocketed pill motivates the cat to eat the second one faster. Some pills (NOT capsules) can be divided if the cat won’t swallow the full size. Smaller pieces are easier to conceal and swallow but might obligate more treats. A veterinarian consult should come first before dividing medications into separate doses. 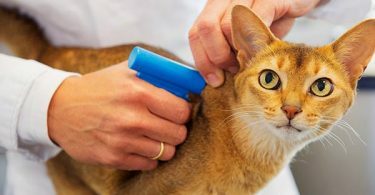 Rewarding the cat immediately after the medication is given every time is not required, but it is highly recommended for assisting in forming a positive connection between the cat and medicine times. 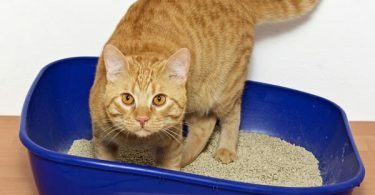 This is likely to be a regular part of an ill cat’s daily routine, so the proper positive association with this process is essential if the pet is to stay healthy, happy, and willing to participate. This YouTube video from Care Animal Clinic in Brookfield, Wisconsin shows the typical methods applied by a veterinarian. Gabapentin is known to leave patients feeling tired; dizzy; uncoordinated; and may result in optical impairments such as blurriness, seeing double, or odd eye movements; and some experience tremors. These are common but temporary. After administering any medication, veterinarians advise new patients to watch carefully over the cat and observe its reactions. Owners should revisit the veterinarian if the Gabapentin side effects appear to cause suffering or seem abnormally severe. For analgesic purposes, Gabapentin may not be strong enough to aid in a cat’s level of pain. Watching to see if it is still ailing or expressing discomfort after days of this medication is the only way to know if the treatment is working. If the cat continues to display signs of discomfort, a stronger medication or supplemental products or procedures might be necessary. Similarly, if the unwanted side effect of sedation occurs, the dosage will need to be altered accordingly. Gabapentin is an agent that although deemed non-toxic can cause Chronic Toxicity when used in an unregulated fashion. This comes from long-term exposure to the medication that causes unfavorable results. Toxicity can be sublethal and lethal at its worst, resulting in lasting reproductive, developmental, or behavioral damage; or death. If initial observations of reactions to the medication are concerning, it is best to seek medical advice to decide if the cat is showing casual side effects or if it is suffering from toxicity. Toxicity comes as subacute, acute, subchronic, and chronic depending on the length, amount, and adverse effects of exposure to the agent. Humans tend to notice subtle changes that animals do not display. The list may continue and the cat could begin to display symptoms of neurological damage as before being prescribed the Gabapentin. However, this is an unlikely possibility because the medication is not self-delivered. The only way chronic toxicity could occur in an animal is if the care provider did not notice all other symptoms leading up to the extremes. What are the effects if a dose is missed? This is a powerful medication that affects neurological functions. Missing a dose or quitting abruptly will likely result in the return of pain or seizures and possibly other adverse effects. If a cat is to be removed from Gabapentin, it is best to ween it off gradually. Lower or less frequent doses are the safest way to do so. The veterinarian who prescribed the Gabapentin is familiar with the medical history and the first person to consult. My 11 month-old Bengal cat was put on Gabapentin for a severely injured tail. for 16 more hours. How do I titrate the drug down? Please help!